Common Objects has five core members, who represent musicians from the experimental, sound art and improvised music fields. The ensemble also draws on additional members for specific projects. 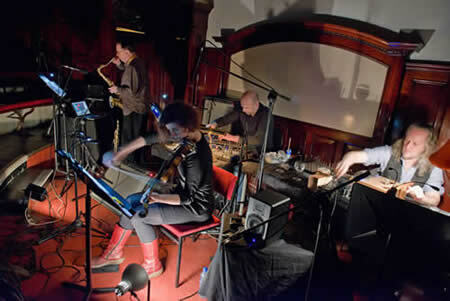 Their most recent commission was to perform a new graphic score by Rhodri Davies, called Cup and Ring, at the AV Festival 2014 (CD on Another Timbre). The ensemble has also played at the LMC Festival, Freedom of the City and Sounds New Festival.